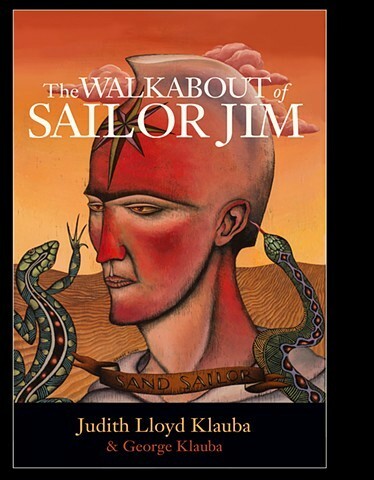 Sailor Jim is a story I had started working on several years earlier, which I later set aside. It was a story about the similar paths sailors and Aborigines followed as they experienced life and death over the oceans and on the sea of sands, respectively. I showed her carvings I made of ’spirit sailors’, and how they merged from sailors into Aboriginal beings. She found it fascinating. Judith put her heart into the project, and as the writer she was, it grew, blossomed, and finally gave birth. After finishing the book, I had a scrimshaw pendant of whalebone made for her with ”Jim’s” tattoo design of the snake, cross and stars. She wore it proudly.